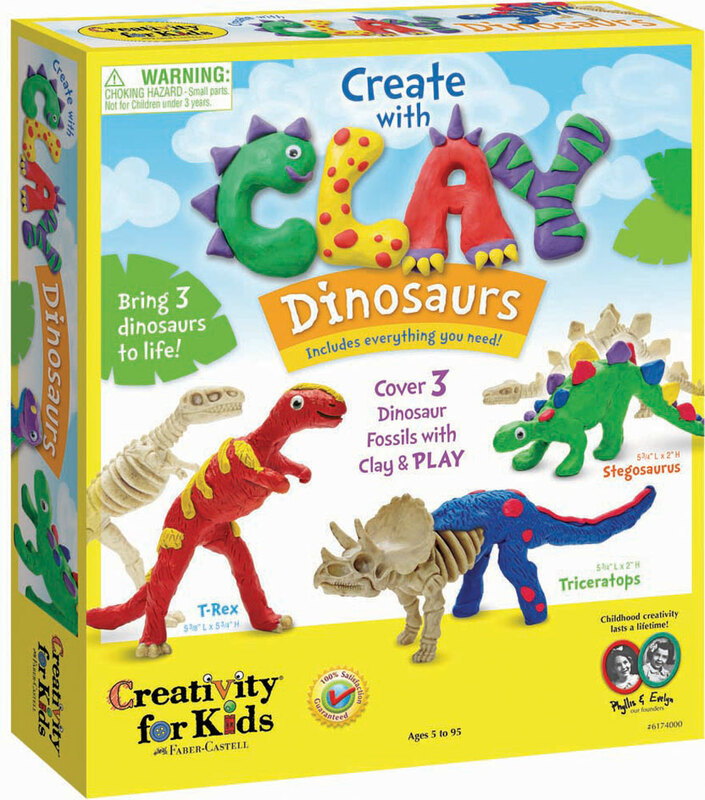 Bring three dinosaurs to life with vibrant clay! Art, adventure, science, and fun all combine for the perfect STEAM experience. Dinosaurs allow children to learn and fantasize about prehistoric times through creative play. Fun dinosaur facts are also included to learn while creating! This craft kit includes plenty of clay so you can use the leftovers to create even more creatures or plants to create a complete dinosaur land. 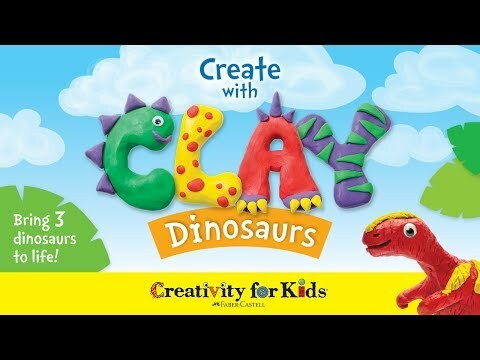 The Create with Clay Dinosaurs Kit by Creativity for Kids features non-toxic, kid-friendly art materials that are safe for kids. This open-ended craft kit allows kids to use their creativity to inspire their dinosaur creations. Develop fine motors skills while creating with clay! Measures approximately: 12.20 x 10.50 x 2.20 inches..